Next part of Baths set. This park is full of squirrels, ducks, peacocks and so on. I really like to go there - it's so relaxing. Nast?pna cz??? serji z ?azienek. Ten park jest pe?en wiewiórek, kaczek, pawii i tym podobnych. Bardzo lubi? tam chodzi? - to jest takie relaksuj?ce. Great site! 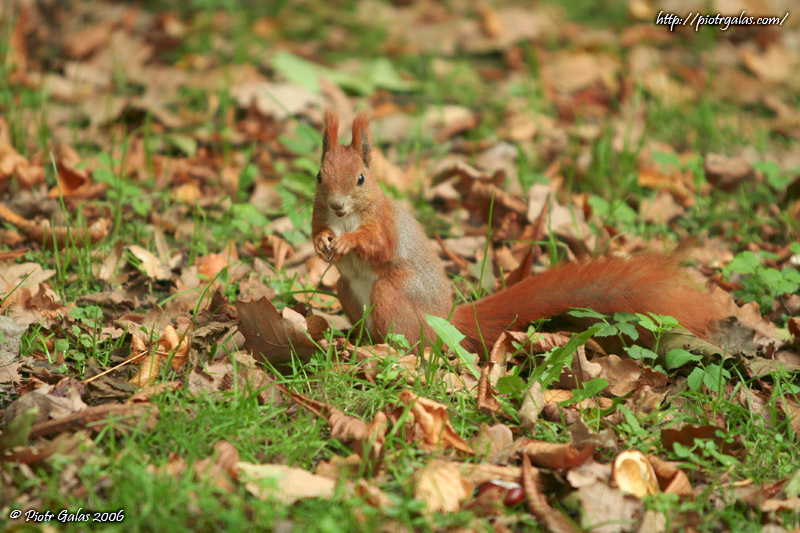 I like this photo, so cool how the squirrel is such a similar colour to the leaves. Came to check out the comments. I'll try to implement it on my site soon (got another 70 spam last night). Nice site. And nice squirrel, almost invisible among the brown leaves.